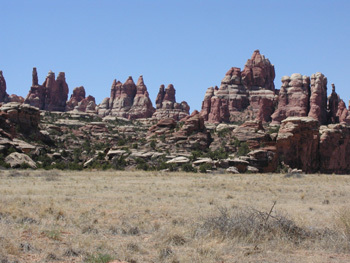 I have ridden most major trails in the Moab area but I have to say I saved the best for last with the Beef Basin Loop. I have divided the loop into 4 sections. 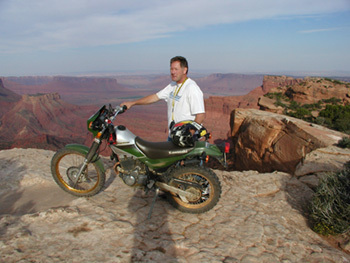 On of the longest most remote trails in the Moab area. The trail is a 112 mile loop not counting several possible side trips. 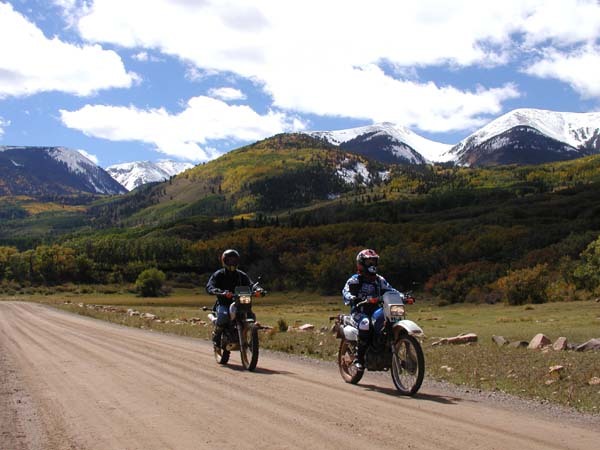 If you have never ridden in Moab before I would recommend starting from Dewey Bridge and riding to the Top of the World. 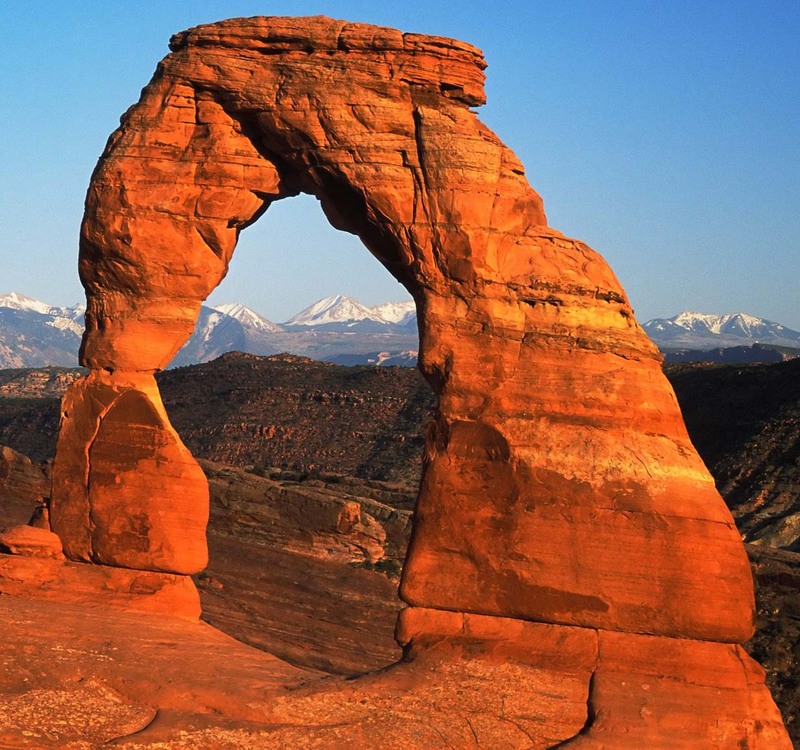 From here you will get an ah inspiring view of what Moab looks like. From the over look you will also be able to see the other two trails in this area Rose Garden Hill and Onion Creek that you will use to create a large loop. Though the Slick Rock Bike Trail started as Motorcycle trail it has all but been taken over by bicycles with over 100,000 riders each year. However, if you get there early you will have the trail to yourself. 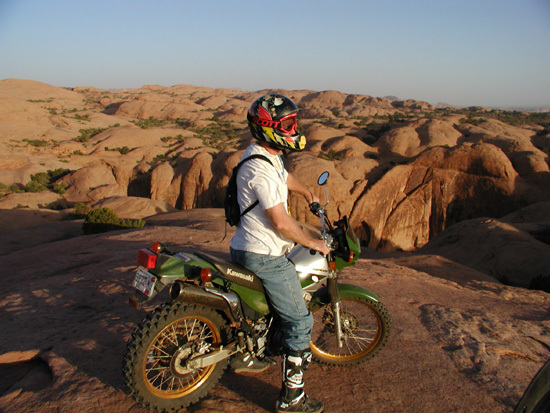 Though the slick rock trail is only for bikes and motorcycles Hell's Revenge and Fins N Things the same type of trail and can be used by Jeeps and ATVs. 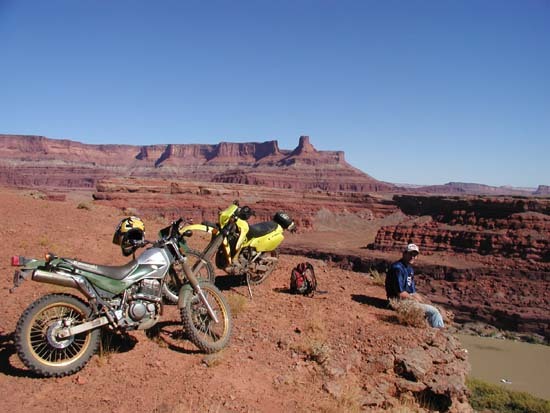 To me the trails on Poison Spider Mesa are the best to ride in the Moab Area with just the right amount of slick rock, sand and challenging ledges. Golden Spike and Gold Bar Rim are the same type of trail and are simply a continuation of Poison Spider though it does become more difficult. To finish the loop you can going into Bull Canyon and then finish up in Long Canyon which will take you back down off of the mesa. 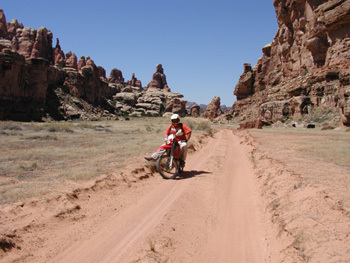 Kane Creek Road provides access to many trails south of Moab. 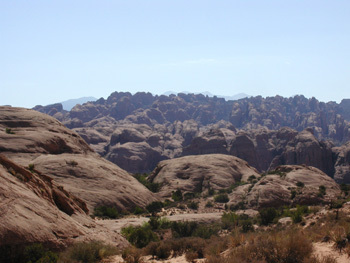 One could easily spend several days in this one area exploring easy and scenic trails like Chicken Corners, Catacomb Rock, Hurrah Pass. 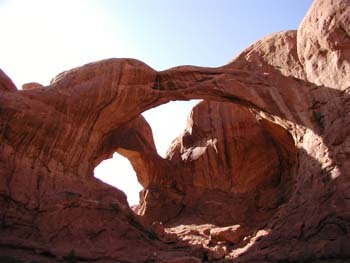 If you are looking for a challenge try Kane Creek Trail, Moab Rim Arch.